Our Judge for this show is Trisha Kerwin-Bell. Trisha Kerwin-Bell is a USDF Certified Instructor and Gold Medalist from Salem, Utah. She has won numerous State, Regional, and National Championships at all levels and with many breeds of horses. She has trained horses, from starting them under saddle to Grand Prix and has 25+ years experience in the show ring. ALL MOUNTED RIDERS MUST WEAR AN APPROVED ASTM/SEI HELMET WITH THE CHIN STRAP SECURED. Entry Form and Prize List available atwww.SageCreekEquestrian.com. 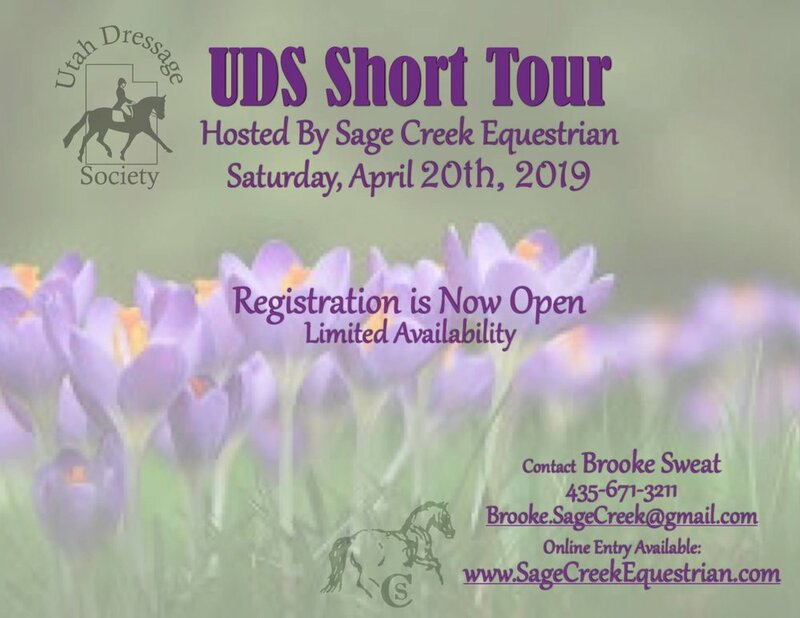 If you have questions, would like to enter online or to reserve STABLING, please contact Contact Brooke Sweat at Brooke.SageCreek@gmail for more information.